Following the first Doctor Strange photos, new character details, and more on Doctor Strange’s powers, Marvel Studios‘ Kevin Feige revealed to EW more juicy Doctor Strange details, this time about The Ancient One and the decision to cast Tilda Swinton (Snowpiercer, Trainwreck) instead of a typical elderly Asian male sensei-type. While Swinton is designated as female in the film, her gender really has no impact on the story. Actor Chiwetel Ejiofor (12 Years a Slave, Children of Men) also chimed in to EW on the character of Baron Mordo and his relationship to The Ancient one. Doctor Strange stars Benedict Cumberbatch in the lead with Chiwetel Ejiofor (12 Years a Slave) as Baron Mordo, Tilda Swinton (Only Lovers Left Alive) as The Ancient One and, in undisclosed roles, Rachel McAdams (The Vow), Michael Stuhlbarg (Pawn Sacrifice), Scott Adkins (The Bourne Ultimatum), Amy Landecker (“Transparent”), and Mads Mikkelsen (“Hannibal”). Scheduled to hit theaters November 4, 2016, Doctor Strange is scripted by Jon Spaihts (Prometheus, Passengers) and directed by Scott Derrickson (The Exorcism of Emily Rose, Deliver Us From Evil). 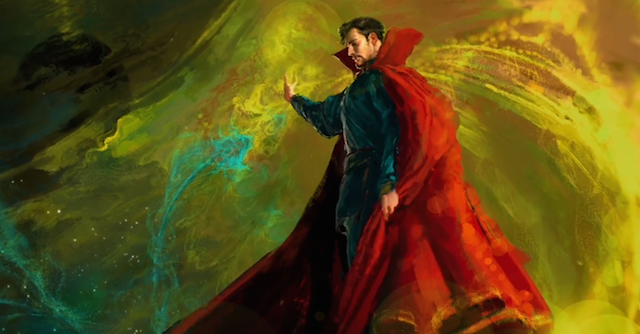 It is said to follow the story of neurosurgeon Dr. Stephen Strange (Benedict Cumberbatch) who, after a horrific car accident, discovers the hidden world of magic and alternate dimensions.